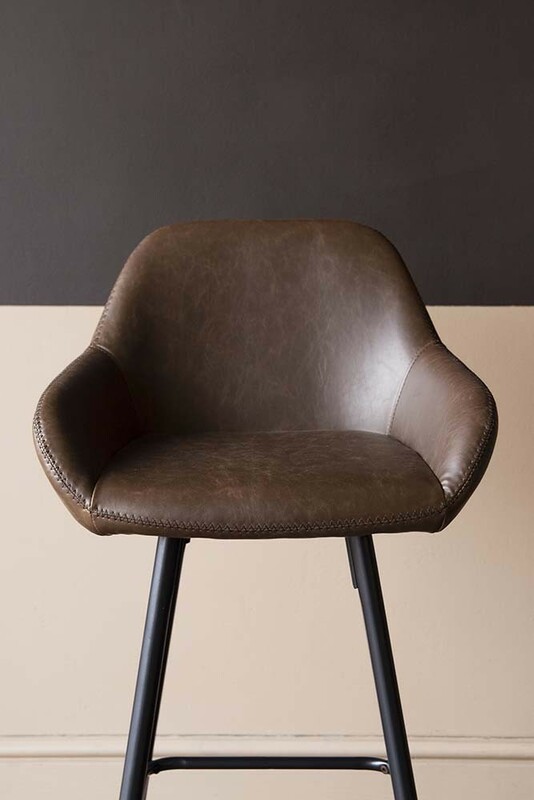 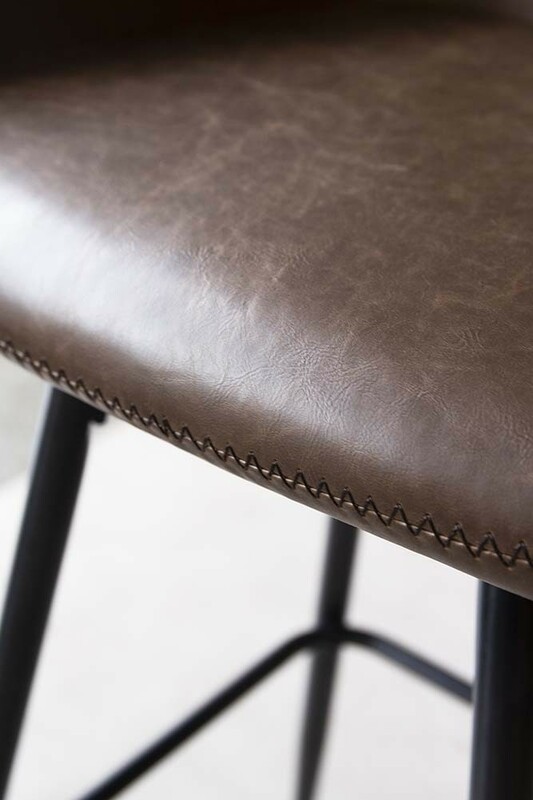 Chosen for it’s timeless quality and versatile nature, the Faux Leather Bar Chair With Zig Zag Stitching in Brown is pleasing for those who would prefer not to use animal products in your homes. 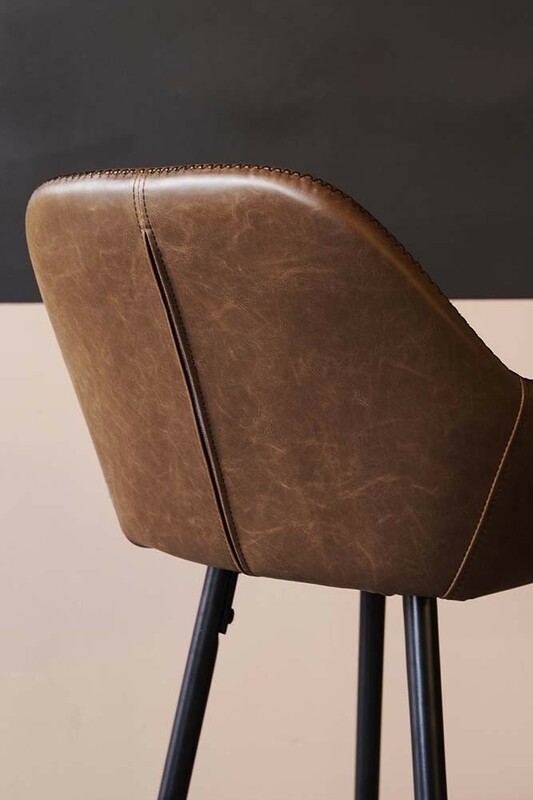 A realistic leather chair alternative that is delightfully comfortable to sit on the Faux Leather Bar Chair features black metal legs, brown faux leather and black zig zag stitching. 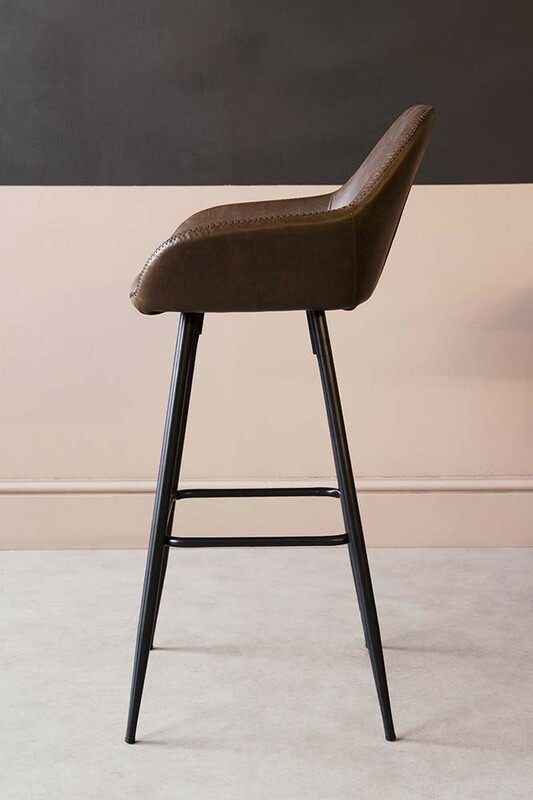 A gorgeous bar stool, what we particularly love about the Faux Leather Bar Chair With Zig Zag Stitching is that it would complement most décor schemes which is great as you update and re-decorate your home over the years. 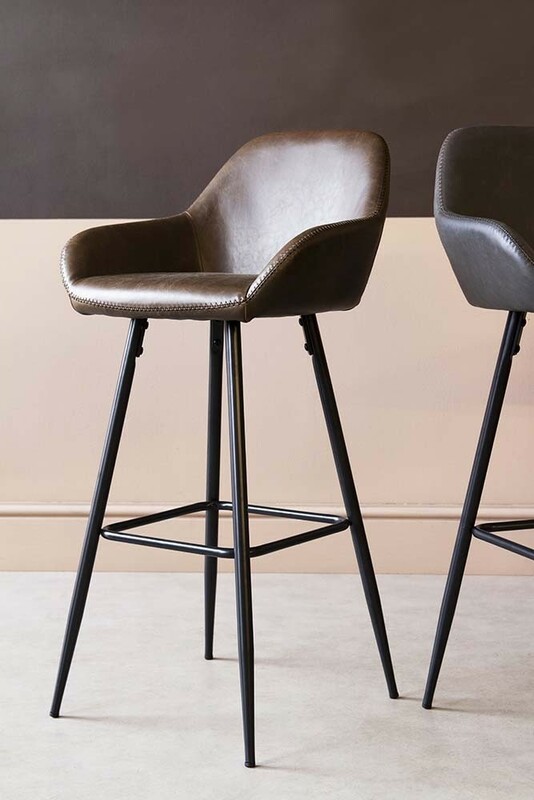 Adding sophisticated style to your breakfast bar, kitchen island and home bar the Faux Leather Bar Chair will add refined style to Industrial Interiors, raw texture to Boho Looks, sophistication to modern interiors and so much more! 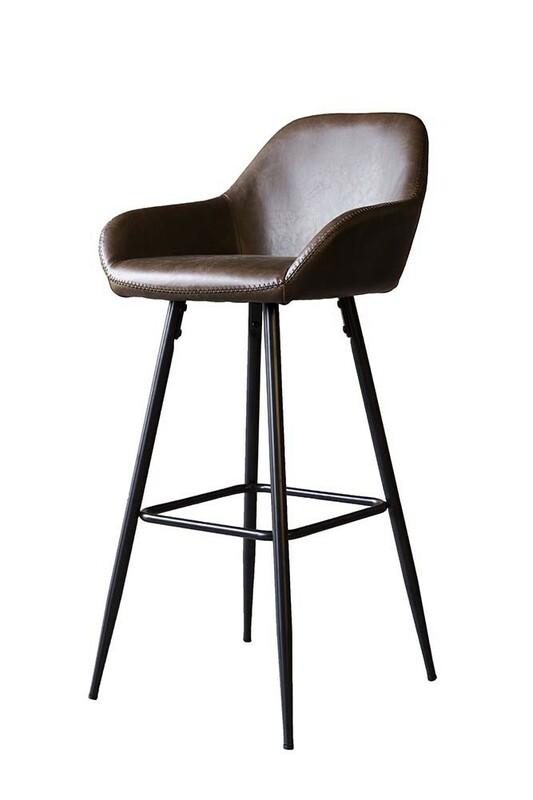 A wonderfully unique Bar Chair for your kitchens and living spaces the Faux Leather Bar Chair also comes in Grey Faux Leather and in a range of dining table chair choices.